I have a bright first grader who is doing second grade work on ScootPad, as this is the right level for him in most areas. One area his skills continue to be more first-grade like is spelling. 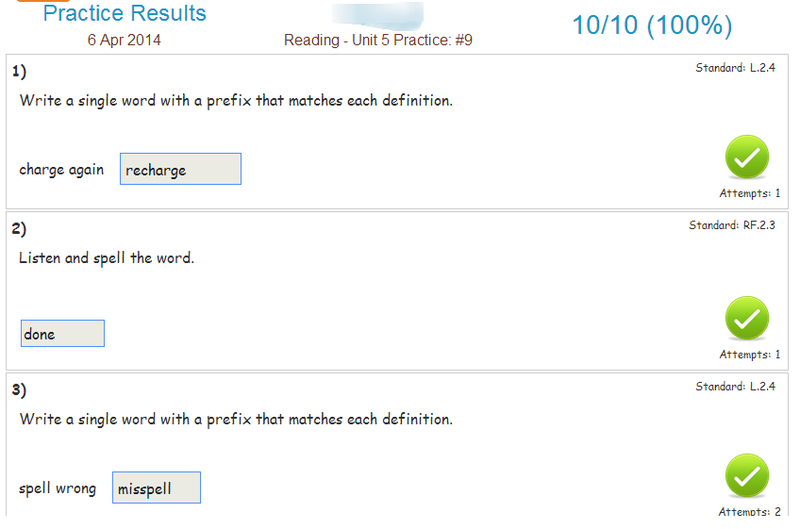 As you can see by his below results, he is adept at using phonetic spelling, but not conventional spelling. In fact, his scores for reading were dropping notably due to his great many spelling mistakes. When I noticed this in reviewing his practice results, I thought about taking out the spelling questions and individuating his track even more. However, doing so would not solve the problem in that he would continue to misspell a number of other answers that were not specifically asking him to spell the word (e.g., fill in the blank, prefixes, suffixes). Bright kids can show uneven profiles. How can we support all aspects of their profiles? My solution? I showed him how to open a new tab on his Chromebook and look up the spelling of a word. I was not sure how a first grader would do at applying this new series of skills. But as children often do, he surprised me! 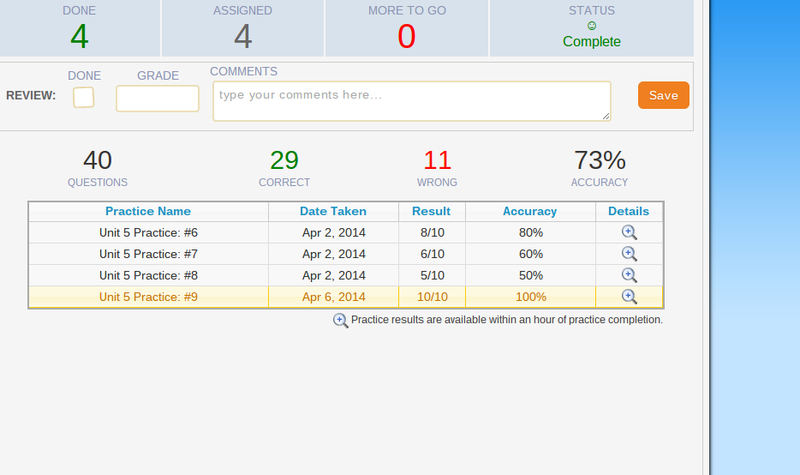 His practice scores went from at 50% to 100% instantly. When I asked him to show me how he had done it, he showed me his adept skill at independently managing, switching tabs, looking up words, copying in correct spelling, and so on. Learning to use the internet to spellcheck not only advanced his research skills, it also allowed him to advance in his ELA learning! While I am pleased to see his scores increase, more importantly, I realize he has integrated a very valuable skill: to utilize resources and tools at his disposal to solve a problem that was holding him back and slowing down his learning and growth!